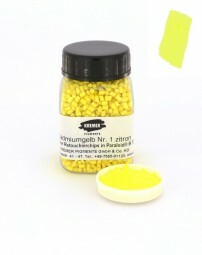 Kremer Color Chips - Cadmium Yellow No. 1, lemon | Kremer Retouching Chips in Paraloid B 72 | Ready-made Colors | Kremer Pigments Inc. Customer evaluation for "Kremer Color Chips - Cadmium Yellow No. 1, lemon"